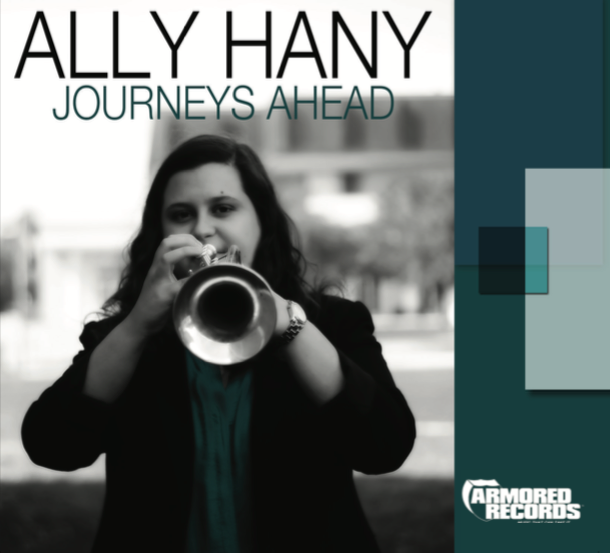 Trumpeter Ally Hany will celebrate the release of her first CD with a performance at 6:00 p.m. this Sunday, November 22 at Ferring Jazz Bistro. Released by the indie label Armored Records, the album (pictured) is titled Journeys Ahead, and features six original compositions by Hany, performed with a backing band including saxophonists Devin Eddleman and Jon Mones, pianist Damian Garcia, bassist Jake Greenburg, and drummer Connor Kent. At the Bistro show, her first local performance since moving last year to New York City, Hany will be joined by Jason Swagler (alto sax), Nathan Pence (bass), Adam Maness (piano), and Jharis Yokley (drums). A native of Webster Groves, Hany played locally during her teen years with the Webster Groves High School jazz band, Jazz St. Louis All-Stars, Missouri All-State High School Jazz Band, and St. Louis Symphony Youth Orchestra, as well as in Colorado with the Telluride Jazz Festival All Stars. She then enrolled in the famed jazz studies program at the University of North Texas, where she performed, toured and recorded with the One O’Clock Lab Band and was featured on the their recording Lab 14, as well as on the Two O’Clock Lab Band's recordings Two’s Two and Kind of Two. After graduating last year, Hany moved to NYC, where she's been teaching, gigging with the Seth Weaver Big Band and other local groups, and plans to begin graduate studies this fall at the Manhattan School of Music. While she's back home, Hany also will be taking part in the WGHS jazz program's annual fundraising concert on Tuesday, November 24 at Highway 61 Roadhouse. 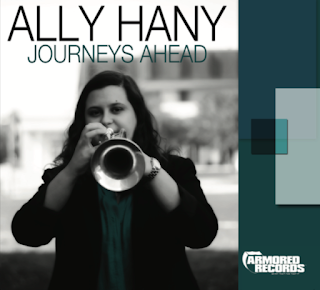 Tickets for Ally Hany's CD release show are $16.50 and are on sale now via the Jazz St. Louis website and box office.